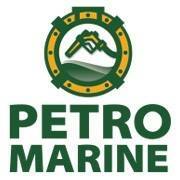 Petro Marine Services is a wholly-owned subsidiary of Petro 49, Inc. formerly known as Harbor Enterprises, Inc. The company and its affiliates are fueling an ever-growing share of Alaska’s and Northwestern Canada’s petroleum needs. We have historically focused on marketing and distributing petroleum products to support the fishing industry from Alaska’s coastal cities.